Health care providers in Whitehorse have developed a new approach to treating frostbite — and they say they've been seeing "excellent" results. The treatment has even been described in the Canadian Medical Association Journal (CMAJ), in a recent article written by Whitehorse General Hospital surgeon Alex Poole and pharmacist Josianne Gauthier. "We've had a lot of calls from other hospitals in Canada, inquiring about our protocol and how to get access to the drug," Gauthier said. "The drug" is Iloprost, which is typically used to treat a variety of diseases, by opening vessels to allow blood to flow. When used to treat frostbite, Gauthier says, it can prevent tissue from dying and help it heal. She says the drug is used in Europe, but it's not commercially available in Canada. That's why the hospital had to apply to Health Canada for special access. It's been used at Whitehorse General Hospital for about three years now, sometimes in combination with thrombolytics, which treat blood clots. Poole says the new treatment protocol has been used on eight patients so far. 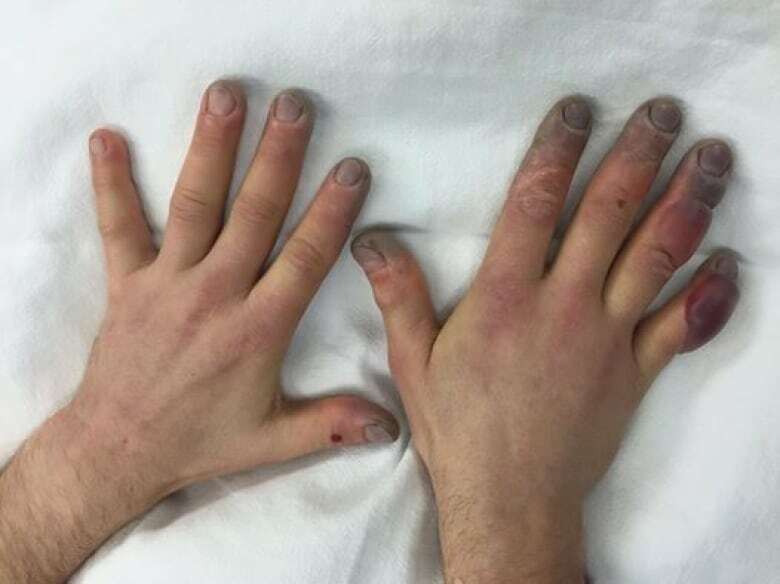 One of those was a runner in the 2015 Arctic Ultra race, who nearly lost his fingers. He kept his digits, though, and returned to Yukon this winter on another adventure. "The outcomes have been excellent," Poole said. "We don't anticipate that we'll prevent all amputations — which we've fortunately done so far — but the patients that do require amputations, the goal is they would minimize how much of a finger or toe had to be removed, or if any at all." Poole says the Whitehorse hospital developed the treatment after analyzing the cases that it was dealing with — about 10 per year, he says, with two or three of those cases being severe. "And thus no one person had a lot of experience treating these patients. And once we decided to collect them all, we recognized that there was probably an opportunity to do it better than we were doing," Poole said. They began talking to experts and doing their own research. "We didn't really re-invent anything, we more or less gathered what we thought was the best way of doing it, and implement[ed] it at the Whitehorse hospital," Poole said. Now Gauthier says other hospitals, including Yellowknife's Stanton Territorial Hospital, are requesting similar access to Iloprost. She hopes the Whitehorse treatment protocol will become more common across Canada. For Poole, a self-described "country surgeon," it shows that even small hospitals can do big things. "I think it encourages you that if there are particular conditions you deal with that may not be as common in larger centres, you can impact how that care is done across the country," he said. "I think it is a bit of a feather in Whitehorse General's cap."